Arduino Leonardo Atmega32u4 - .[ZooBaB]. Just inject 3.3v from a different power source on the 5v pin. Some of the clones (such as Olimex atmega32u4) has a switch 3.3v/5v. Opendous-jtag allows you to transform your Arduino Leonardo into a JTAG cable. 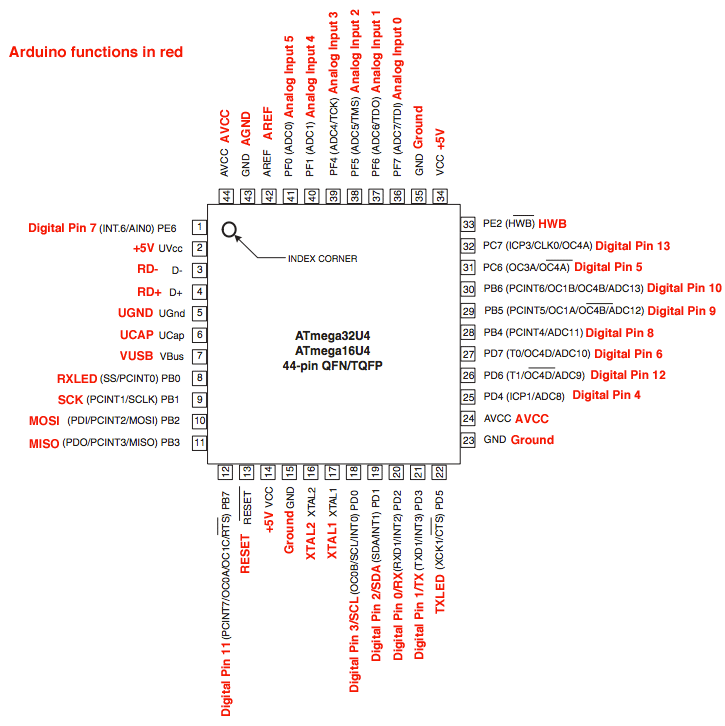 Just flash the opendous-jtag-atmeg32u4.hex binary on the Leonardo, with a buspirate. The ICSP pinout matching is available on dangerousprototypes.com webpage. avrdude: reading input file "opendous-jtag-atmeg32u4.hex"
Now, the Arduino Leonardo will run in 5V while most of the JTAG targets are in 3.3V. There is a need for a level shifter conversion here. The mapping of the TDI/TDO/TCK/TMS needs to be identified.